During the next seven months, Minesa will undertake its exploration campaign which consists of a series of technical and operational activities commissioned by Minesa to study the deposits in order to gain a better understanding of the mineral resources of the Soto Norte project. Drilling pads will be installed in San Juan, El Cuatro, Colorados, Barrientos and San Andres. Drilling activities will adhere to the highest environmental, technical, social and safety practices. 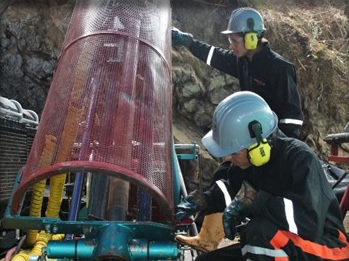 The results of this drilling campaign are crucial to complement the technical and financial studies required for the licensing process of the project.